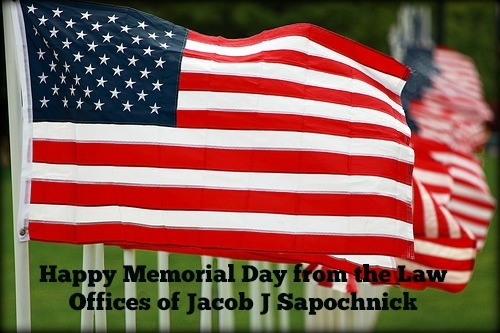 The Law Offices of Jacob J Sapochnick would like to wish you and your families a very safe and relaxing Memorial Day. We thank our soldiers and veterans for their courage, service, and their patriotism. Whether you spend your day at the beach or catching up on work, please take some time out of the day to reflect on the true meaning of Memorial Day.